Two years. Twenty-four months, 104 weeks, 731 days (2016 was a Leap Year) etc etc. Tomorrow will be 2 full years since I stepped off that plane, into Ben Gurion airport to start the next and hopefully best chapter of my life. I just reread my post for last year's Aliyah anniversary- boy, that Jordana was cute! Brimming with life changes and accomplishments, overcoming small challenges of bureaucracy and moving furniture- I envy her. Not that this past year wasn't great- quite the contrary, my Aliyah continues to be the best decision I've ever made. But when you make a huge life decision (moving, getting married, having kids- so I'm told!) there are peaks and valleys. And this year came with higher peaks and lower valleys than I could have imagined in my first year. To gloss over the bad would be allowing this blog to become inauthentic. I strive to make anyone who reads it understand that although I believe aliyah is for (almost) all Jews, I understand that there will be complications and sad times. So I will be straight up with some of my struggles here. I still have not found the job for me. I have not found that magical equation of: I enjoy it+ I am good at it +I am challenged by it= it pays me enough to live. You might think these are super reasonable qualifications, you might think I'm asking too much (not to be confused with a conversation on "what are you looking for in a spouse?" which sounds interestingly quite similar to this.) Although I have blessedly been employed by wonderful companies and people for the entirety of this year, I am a bit at a loss for why the job for me eludes me. I thought I had it for about 5 minutes, only to realize it wasn't quite right and have to start from Square 1. If I had to pinpoint this year's lowest valley, without a doubt, it would be that setback. In fact, I write this as I am still trying to climb back up from that, so if this blog seems a little less than effervescent, it's probably just because you should not write a blog post in a state of flux. But what can I do?! My Aliyaversary is falling out smack in the middle of my time of flux- what a bassa! I do remain hopeful and (weirdly) confident that a job that involves writing/marketing/politics/Jewish outreach/Israel advocacy/media will materialize, the powers-that-be will realize my talents and I will stay working there until I am a little old lady. It could happen, right? But until then, I remain positive- I have to! This is my home now. As I have mentioned several times- there is no "Plan B." There is no "going home"; I am home. I do not see myself ever living in America again (sorry, Mommy) so I will do whatever I must to make Israel the best home I could possibly ever have. "Ain Li Eretz Acheret- I have no other land." There is something terrifying and exhilarating about knowing that you have found your place in this world and no matter what, you will make it work. 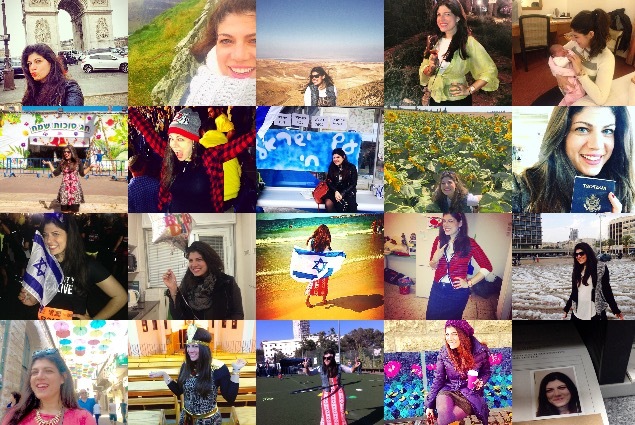 There are fundamental differences between years 1 and 2 of my Aliyah journey. Liken it to the difference between starting a job and keeping that job fresh. The difference between starting to date someone and allowing that attraction to grow into something more. In practical terms: It's the difference between figuring out how to open a bank account and then how to bank efficiently on your Leumi app. If year one is finding a group of friends to go to a bar with, year 2 is growing those friendships into people you can trust with the real-life stuff. The first year is playing that "I'm new here" card when things get sticky and year 2 is "oh shoot! That card doesn't work as well, I guess I'll cut my teeth on Hebrew instead." Year 1 is waiting for friends and family to visit so you have a taste of home in your new city, while year 2 is playing tour guide for visiting friends and family, so you can show them your home. Year 1 is finding a place to live, a job and a favorite brunch spot; year 2 is paying full municipal taxes on that apartment, finding a new job (or 2- for me!) and making that brunch spot your Friday destination after a hard week of work. The luster and excitement that comes with everything new and shiny in your first year is followed by a tangible shift toward comfort and contentment. It's when you can feel your infatuation toward Israel becoming a real love of Israel. I used to teach classes for an outreach program and one of the questions we asked was "What's the difference between infatuation and love?" And the answer we gave was this- "when you love everything about that person/place/thing- everything they do and say is perfect- that's infatuation. When you can see the bad in that person/place/thing- when you are aware of his flaws and shortcomings, in addition to his good qualities- that is love!" So last year I was the conductor of that infatuation train. I had to be! There was a war, I was living in the fantasy-land of Ulpan, I was just getting my feet wet in Israeli society- everything was heightened and important (and I had a heck of a lot more to blog about!) This year, I was dealing with the mundane- paying bills, socializing (although now in Tel Aviv a lot more, go figure!) and working every day. Although I broke that up by traveling, and a trip to the States, life here went from aliyah fantasy to Israeli reality, without my even noticing it. I know more seasoned Olim will see this and scoff "It's only been 2 years, Jords. Relax. Come back to me in 10 years." And I intend to! And I know each year will bring its own victories, its own epiphanies and, realistically, its own failures. But the same would be true if I were back in New York, or living in London, or Timbuktu! The difference here is that I have the motivation to make this life I create here the greatest possible life I can have on earth. Because nothing beats the fact that I am living in the Jewish state and the truest home I have ever known. Nothing beats the fact that I know that with all the hardships and loneliness, anxiety and stress- I have finally ended up in the place I am meant to be. So hopefully next year when I recap Aliyah Year 3, there will be less lows, higher highs and the same certainty that Aliyah was the greatest choice I've ever made.